We have got lots to talk about in today’s blog as we are going to discuss what a bokken is, its different types, how can you get one yourself and whether you can make a wooden sword at home or not, in order to avoid picking up real swords, to stay safe after making wooden practice swords that can otherwise be bought online or from stores near you. If you are going to read this blog, then we should tell you that anyone can get cheap wholesale swords for sale and/or personal use from Knife Import at extremely low whole sale prices. 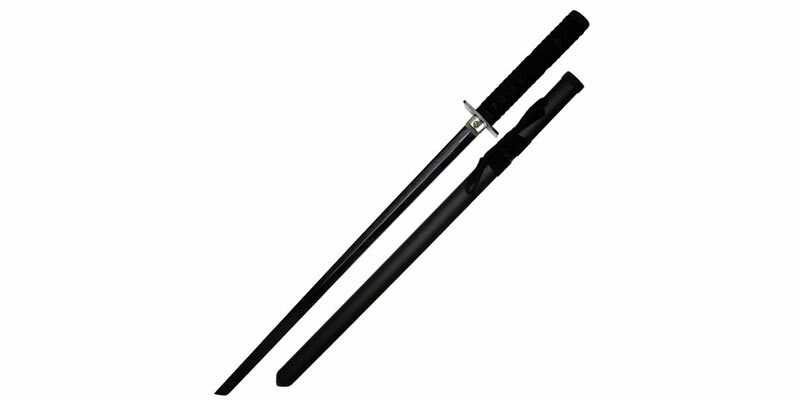 You can find all types of swords at affordable prices—no matter if you want to buy real, decorative or wooden swords for practice; along with various other kinds of blades such as knives and daggers. 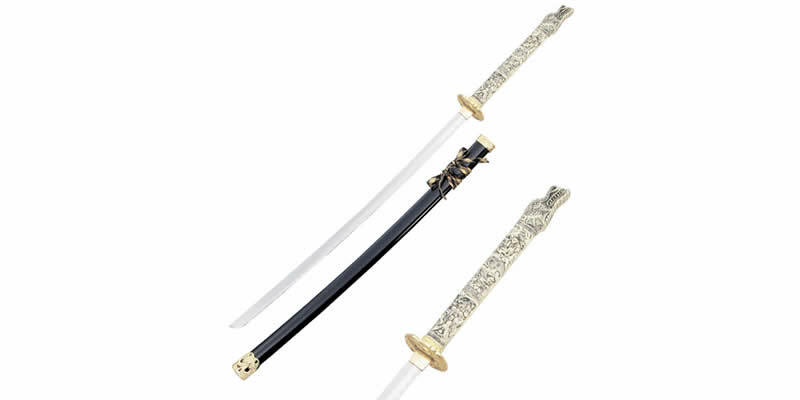 Are you looking to buy swords for sale available in online stores? Do you know the risks of getting blades over the internet? Can you even figure out which ones are real swords and which ones are not? All of your worries will be over once you have gone through this blog. As we intend to answer all the queries mentioned before and perhaps some more. But, we want to start with answering the first question right away, you can buy real swords for sale and personal use online through Knife Import, which is offering its services for nearly a decade to customers that want to buy wholesale knives and swords at cheapest price. So, you can purchase as many blades as you like without any worries at all! Samurai Sword - Why People Obsess Over a Katana? The history that surrounds the Katana is no less important than its outcome and that is a beautiful but lethal, curved, razor sharp blade. Almost everybody knows that it was the Samurai, Japanese militants of the feudal era, who carried this long sword (katana) into battle to chop off the limbs and heads of their enemies. The Japanese samurai sword is not the only thing that made this weapon so fearful, it was its wielders that put the fear of God into their opponents on the battlefield. Ever since its creation, the hard but brittle katana sword has been used to swiftly cut through the flesh and bones of one’s enemy. Ever since human beings became aware of their surroundings, there have always been a definite need for weapons to fend off predators and other people that posed a threat. Swords proved to be the most effective weapon since ancient times due to their durability and simple design. Even though much lethal modern weapons, such as guns, can be found at firearm stores yet lots of people search for swords for sale online and otherwise. 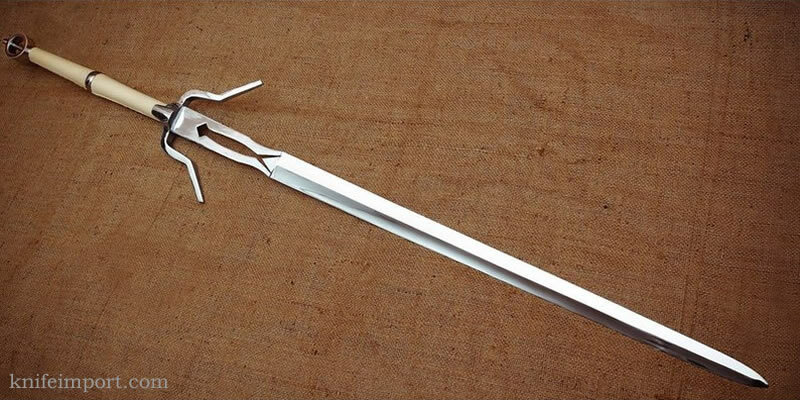 Regarding this article, we are going to list 10 most famous and cool swords that has made their way into everyone’s life making them instantly recognizable. Our list is going to include only fantasy swords from story books, cartoons and movies - otherwise it would have become impossible for us to make a list in the first place. 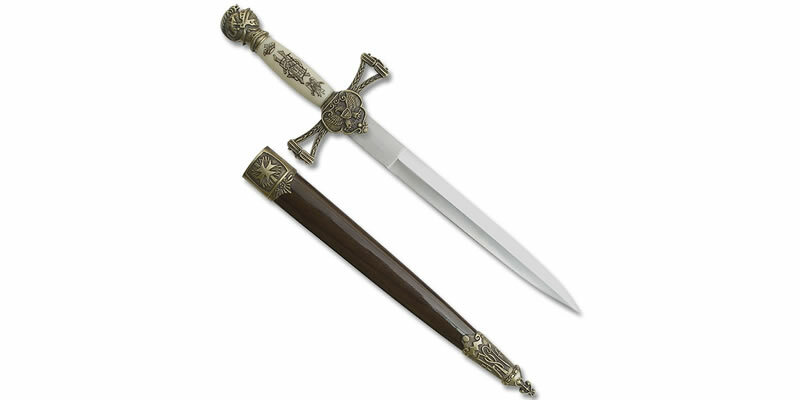 Anyhow, if you are looking to buy and/or read about blades then surf through Knife Import for it provides high quality fantasy swords for sale among many other related products with their relevant information. As much as people fancy the latest technology gadgets or weapons, ancient medieval swords have irreplaceable charm. Have you ever thought how medieval swords were crafted so perfectly that many ancient warriors used them during battles and eventually conquered their enemy? Well, this matter is surely fascinating enough to look into. But firstly, let us tell you about these types of swords. You might have seen ninjas using various weapons with charismatic skill and precision. Mostly ninjas are well-trained and training takes weeks or even months. You would be thinking how amazing it is to master the skill of ninja sword fighting? Yes, surely it is. But do you know much about the ninja sword and its origin? If no, then let us get you acquainted first, so that we can move ahead with the types of ninja swords for sale that have been hand-picked for you by Knife Import itself.